You walk into the office, get your coffee, and open the phone lines. By 9:10am, the help desk phone queues are full. Help desk work is tough because you have to keep smiling and helping people even when they are upset about having to wait in a queue. By the time lunch rolls around, you’ve probably completed a dozen or more password resets. Sure, users need passwords, but managing resets isn’t exactly life changing IT work! Breaking out of the daily grind of help desk work requires a fresh perspective. Security requirements are not going anywhere soon. At the same time, your users hate to wait for the help desk to address their needs. Cutting your help desk budget without sacrificing employee productivity is far from impossible. To make that happen, the law of supply and demand is critical. You are probably used to seeing this principle applied to oil prices, real estate, and stocks. It is also one of the best ways to explain how your help desk works. What Drives Demand on Your Help Desk? Demand on help desk services is influenced by a variety of factors. Note that some factors are directly influenced by the help desk department while others are broader company factors. Help desk awareness and accessibility. If employees are well informed on how and when to seek help desk assistance, they are likely to ask for help more frequently. Help desk customer service quality. If you provide excellent service to your stakeholders, they are more likely to ask for help in the future. Employee turnover in the organization. Some organizations, like large accounting firms, regularly hire large numbers of new employees and interns each year. If your employee base changes regularly, you are likely to have more help desk inquiries. Complex company technology. If your company has in-house or highly customized technology and applications, users will likely need more help understanding them. Complex company processes and procedures. If you have strong controls over technology, users may be forced to ask for help desk assistance to solve problems. Reducing administrative and technology complexity are excellent ways to cut demand. Other factors — such as the number of new employees hired — are likely beyond your control. What Drives the Supply of Help Desk Services? In contrast to demand, a help desk department manager has greater influence and control over supply. Broadly speaking, there are three factors that govern supply (i.e. the budget required to provide the help desk). Help desk staffing and skills. The number and skills of your help desk technicians influence supply. A flexible, sustainable help desk generally involves several layers of support (e.g. Tier 1, Tier 2, etc). Help desk procedures and processes. What procedures and methods guide help desk staff in their work? If all help desk staff write IT support ticket notes in the same way, that will increase productivity. On the other hand, widely variable processes tend to lead to rework. Help desk technology and tools. With better tools and automation methods, such as Password Station, there will be reduced demands on the help desk. That means the ability to operate with a smaller budget. By improving skills, processes, and/or technology, you can stretch your help desk budget further. What if 20% of all help desk work on password administration was eliminated due to better technology? That one improvement could pave the way to cost reduction without sacrificing productivity. To understand your current situation, you will need to review two types of information. First, review your budget for the current year — especially staff related expenses, which tend to be the largest line item. Second, review reports on IT tickets filed by staff. Password reset and administration requests are a top driver for IT help desks. Industry researchers find that “20% to 50% of all help desk calls are for password resets.” This volume translates into dollars as well — the average cost to reset a password is $70. These volume and cost figures may be different at your company, so take the time to carry out your own analysis. 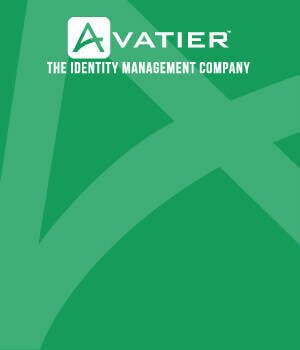 With Avatier’s Password Station, your password administration workload will diminish. Instead of handling call after call at the help desk, the product guides staff to administer their own passwords. Further, Password Station provides tracking and guidance to enforce strong password policies — a key anti-hacking strategy. 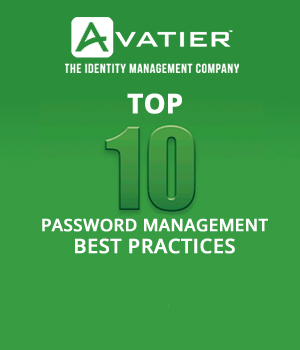 Improving password automation is one of the best ways to reduce demand on the help desk. From a management standpoint, supervising and controlling identity and access management issues takes up a lot of time. To guide managers through the process, consider an identity management solution like Identity Enforcer. It offers segregation of duties support and management reporting. Implementing new tools is not enough. Once the tools are fully implemented, we recommend managers review their help desk metrics and key performance indicators. If you find there is significant staff downtime, you have options. First, you can reduce your budget and staffing next year. Second, you can expand the help desk’s responsibilities. Third, pursue a mixed strategy of new responsibilities and budget cuts. With new tools in place, it is time to plan for next year. To avoid unpleasant surprises, start with a small budget change such as a 10% reduction. If you are able to continue operating at a smaller budget, you can continue to reduce the budget in the future.